October 8 2018, 4:00 p.m. The young Panamanian man used to tell his fellow immigration detainees that he was the reincarnation of Julius Caesar. Sometimes he hallucinated voices instructing him to kill himself. Things got so bad that Jeancarlo Alfonso Jimenez-Joseph, a 27-year-old ICE detainee, called a federal hotline on April 4, 2017, asking for help. Documents reviewed by The Intercept show that Jimenez-Joseph repeatedly brought his suicidal thoughts to the attention of officials at the rural Stewart Detention Center in Georgia, a private Immigration and Customs Enforcement detention center run by CoreCivic. Just six weeks after his call to ICE’s help line, Jimenez-Joseph killed himself in a tiny solitary confinement cell where he had been held for 19 days. A description of Jimenez-Joseph’s complaint to the ICE hotline, which has not been previously reported on, was obtained by The Intercept through a Freedom of Information Act request. The record appeared in a brief accounting of important moments in the timeline leading up to Jimenez-Joseph’s suicide compiled by the Department of Homeland Security’s Office for Civil Rights and Civil Liberties, which looks into complaints regarding ICE’s activities. The record of Jimenez-Joseph’s call adds yet another key point in the grim chronology of his last months alive. For critics of ICE’s treatment of detainees, Jimenez-Joseph’s path to suicide in a tiny isolation cell has become one of the highest profile examples of the negligence and cruelty they say pervades the agency’s heavily privatized detention network. They allege that CoreCivic subjects detainees at its Georgia facility to an array of indignities, including forced work, a violent atmosphere, and highly restricted access to lawyers. 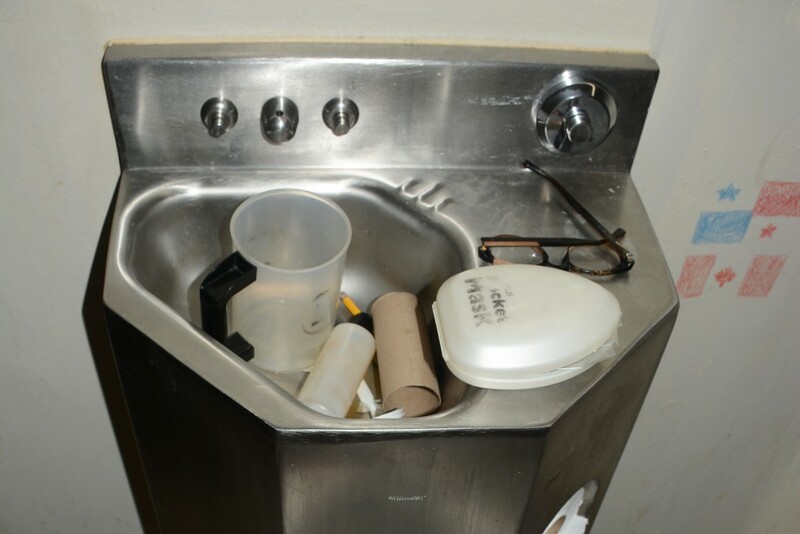 Advocates say Jimenez-Joseph’s case also highlights the facility’s excessive use of solitary confinement, widely known to be a form of torture. In 2013, ICE adopted a policy that put new restrictions on placing detainees with a history of mental illness in solitary confinement. The policy requires that such detainees be removed from isolation if their mental state appears to be deteriorating. 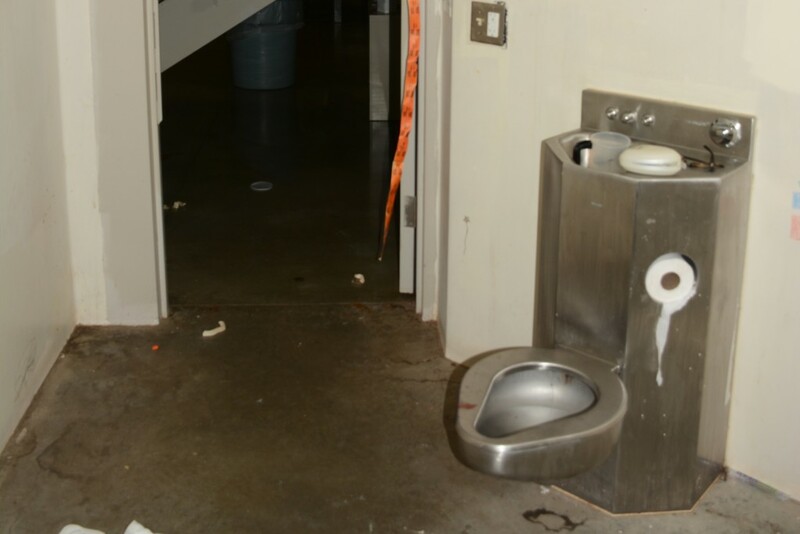 Critics say that CoreCivic’s Stewart facility has flouted ICE’s own internal standards. And, earlier this year, another detainee killed himself at the Stewart Detention Center, under conditions that parallel Jimenez-Joseph’s death. Efraín Romero de la Rosa, a Mexican national, was set to be deported. He had previously been diagnosed with schizophrenia, according to health documents seen by The Intercept, and killed himself after spending 21 days in solitary confinement. Shortly before his 11th birthday, Jimenez-Joseph’s mother brought him from Panama to the United States, and the family settled for a time in Kansas. After receiving legal status under the Deferred Action for Childhood Arrivals program, or DACA, Jimenez-Joseph studied architecture at a community college with ambitions to one day manage his own business. In October 2016, Jimenez-Joseph suffered a traumatic head injury while skateboarding, which appeared to trigger months of psychological distress, according to ICE heath records. Shortly after the accident, authorities in Wake County, North Carolina, sought to involuntarily commit Jimenez-Joseph for schizophrenia and severe anxiety. A few months later, Jimenez-Joseph was stripped of his DACA status after being charged with stealing a car in Charlotte, North Carolina. Prior to that, Jimenez-Joseph had been convicted of several misdemeanors. Local authorities subsequently transferred Jimenez-Joseph into the custody of ICE, which sent him to its privately operated Stewart Detention Center in Georgia. Upon his arrival, Jimenez-Joseph told a nurse that he had attempted suicide in the past and continued to think about harming himself. When the nurse asked by what method he would do this, Jimenez-Joseph provided a one-word answer: hanging. It is unclear exactly what he conveyed in his complaint to the help line a few weeks later, on April 4. But the existence of the call shows that ICE officials far beyond Stewart Detention Center, or even the agency’s broader region, had also been warned of Jimenez-Joseph’s deteriorating psychological condition. Additionally, the log suggests that Jimenez-Joseph felt his situation had become serious enough to elevate his concerns above management at the CoreCivic-run facility. “This was a cry for help,” said Andrew Free, a Nashville-based immigration attorney who represents Jimenez-Joseph’s family. Apparently satisfied with this answer, the ICE office left no record of any additional follow-up on the complaint. But the situation of Jimenez-Joseph’s mental health was not under control. By the time of his call, Jimenez-Joseph had gained a new nickname at the detention facility: Julius Caesar. He was not only called this name by fellow inmates, but also by the facility’s guards. During an interview with state investigators later that year, one guard said he primarily knew Jimenez-Joseph by the Roman emperor’s name. The DHS document obtained by The Intercept also refers to an encounter Jimenez-Joseph had with another detainee that led to his first placement in solitary confinement. After Jimenez-Joseph’s death, ICE publicly described this altercation as a “fight,” giving the impression that Jimenez-Joseph had a history of violence against other detainees at the facility. Jimenez-Joseph was placed in solitary confinement for seven days for the incident. Security video obtained by The Intercept demonstrates what happened during the so-called fight. The video shows Jimenez-Joseph standing next to his drawings, which were sprawled out on a table, and engaged in what appears to be a heated discussion with another detainee. The video, which has no audio, shows the other detainee delivering a single blow to Jimenez-Joseph’s face, knocking his glasses to the ground. Jimenez-Joseph does not retreat but does not fight back. Rather, he jumps and moves around the area, dodging additional blows and looking at the other detainee. At that point, an officer enters the room, and both Jimenez-Joseph and the other inmate stand still and listen to the officer. According to the DHS document, this assault led to a cut on Jimenez-Joseph’s nose but “no outside medical attention was needed,” so he was cleared for solitary confinement. Seven days later, he returned to general population, with persistent hallucinations. If his altered perceptions didn’t raise serious red flags, Jimenez-Joseph’s more direct attestations of interest in suicide should have. Three weeks after his call to ICE’s help line, he again told an ICE health services official of suicidal thoughts. He said that voices in his head were telling him to kill himself even though he didn’t want to, according to the nurse’s notes from the conversation. Just two days after that, on April 27, Jimenez-Joseph jumped off a second-floor platform at the detention center. He survived unscathed but told officials that it was an attempt to hurt himself, insisting again that he was a Roman emperor. That day, despite being repeatedly warned of his suicidal tendencies, ICE signed off on placing Jimenez-Joseph in solitary confinement as punishment for the jump, according to internal documents. 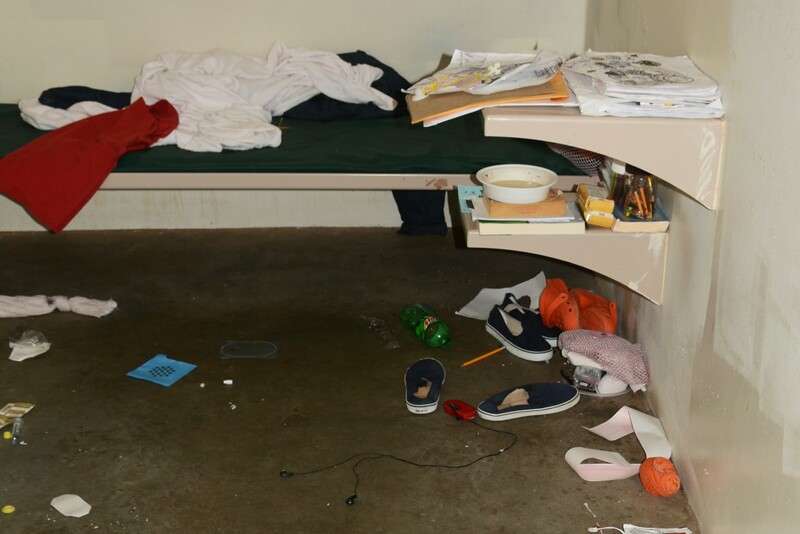 ICE placed Jimenez-Joseph in a tiny isolation cell for the second time, with a bed spanning between two of the bare concrete walls, two shelves, a toilet, and a mirror. 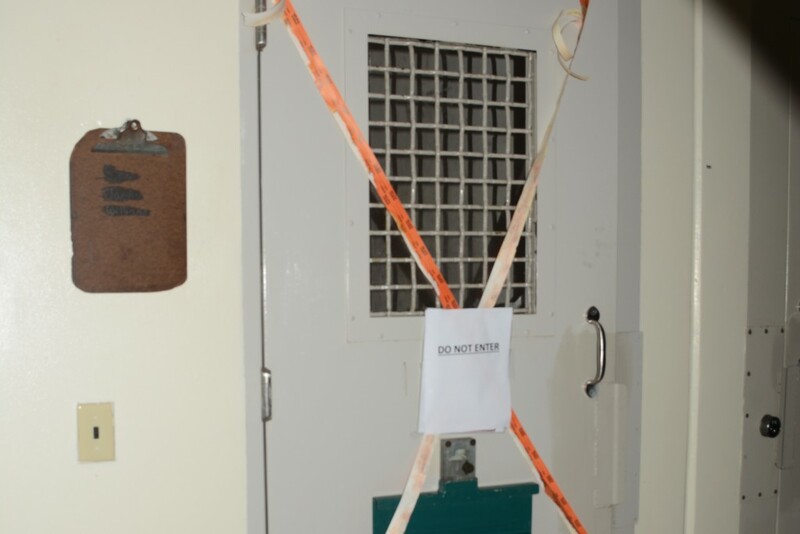 “Whatever they call it, this cell can only be used for solitary confinement,” said Juan Méndez, a professor of human rights law in residence at American University, who previously served as the United Nations special rapporteur on torture. “It is clearly unsuitable for more than a few hours,” Méndez said of the cell. “Even for a single day, it is banned when applied to inmates with psycho-social disabilities,” he said, referring to international law. Meanwhile, Jimenez-Joseph had discussed his suicidal thoughts during phone calls with family members, who were becoming increasingly alarmed about his mental state. Believing that he needed someone to talk to, Jimenez-Joseph’s mother asked an immigrant advocate living in Georgia named Marilyn McGinnis to visit Jimenez-Joseph in solitary confinement. In an interview with The Intercept, McGinnis said she arrived at Stewart to see Jimenez-Joseph early on the morning of May 14, 2017, but due to Jimenez-Joseph being in isolation, her visit did not go as planned. McGinnis recalled ICE telling her, “‘No, he was in disciplinary segregation so he could only have a visit once a month,’” and Jimenez-Joseph already had a visitor that month. McGinnis left the facility without meeting the distressed detainee. That night, shortly after midnight, Jimenez-Joseph was found in his solitary confinement cell hanging from a bedsheet fashioned into noose. Paramedics attempted to revive him in the small cell and then sped him to the nearest hospital, some 30 miles away. By sunrise, he was declared dead. CoreCivic declined to respond to a list of questions from The Intercept regarding Jimenez-Joseph’s call to the ICE help line, and cited “deference to our government partner” in referring all questions to ICE. Top photo: An employee waits at the front gate of the Stewart Detention Center in Lumpkin, Ga., on April 13, 2009.